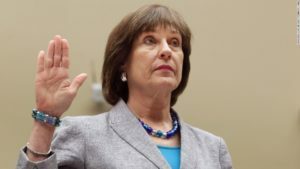 Top IRS officials knew the agency was targeting conservatives because of their ideology and political affiliation two years before disclosing it to Congress and the public, according to a Judicial Watch report released on July 28. “Senior IRS officials knew that agents were targeting conservative groups for special scrutiny as early as 2011,” the report said. Lois Lerner revealed the targeting in May 2013 when she responded to a planted question at an American Bar Association conference. “These new smoking-gun documents show Obama FBI and Justice Department had plenty of evidence suggesting illegal targeting, perjury, and obstruction of justice,” said Judicial Watch President Tom Fitton. The House voted to hold Lerner in contempt of Congress for her refusal to testify. The FBI documents also contain an interview in which Miller reveals that former IRS Commissioner Douglas Shulman “very likely misled Congress” in his March 22, 2012, testimony before the House Ways and Means Committee when he said, “there is absolutely no targeting.” According to the FBI report on the Miller interview, “In February or March, MILLER talked to SHULMAN about the development letters.” The “development letters” were letters sent by the IRS primarily to targeted conservative groups seeking what the Treasury Inspector General for Tax Administration (TIGTA) later termed “inappropriate” information about websites and donors.